Tropical and coldwater fish have a particular range of water temperature within which it is most comfortable living. And, because fish are exothermic, they rely on the temperature of their environment to regulate body functions. Warmer water speeds up the metabolism of your fish, causing them to be more active, often referred to as hyperactivity. The increased metabolic rate of the fish will require the fish to receive more oxygen, but there is less oxygen available because warmer water does not hold dissolved oxygen as well as colder water. The decreased oxygen levels will also affect the aerobic bacteria in the nitrogen cycle, making the biological filtration less effective and causing an increase in ammonia. Add to that the increased waste production of the fish as a result of their increased food intake and higher metabolism and you will have the makings for a water quality disaster. 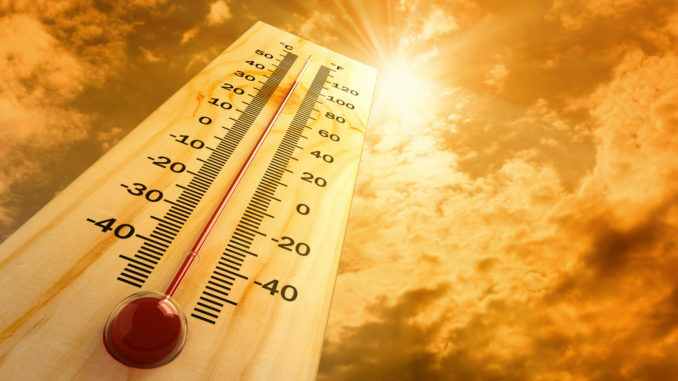 If you have an air conditioner it’s a good idea to keep it running – especially during daylight and early evening hours. Closing the curtains during the day and keeping the AC on can really help with keeping the temperature in the mid twenties. Also on a side note, keeping an aquarium next to a window is not good practice as it gets particularly hot during summer and colder during winter. Add an air stone / air bubbler. Aeration is a great way to counteract warm water. When water becomes warm the amount of oxygen it holds decreases significantly. You might even notice your fish trying to breathe directly at the surface of the water in severe circumstances. The air stone / air pump throws much needed oxygen into an aquarium at all times creating healthier conditions, but particularly is useful during hot weather. Keep feeding to an absolute minimum. Due to the increased metabolism of fish in warmer water, they will want to eat more, therefore they will poo more. A very good rule of thumb is to ensure all foods are completely consumed within 30 seconds – in hot weather perhaps just once a day, outside of that then twice a day at this rate is good practice. 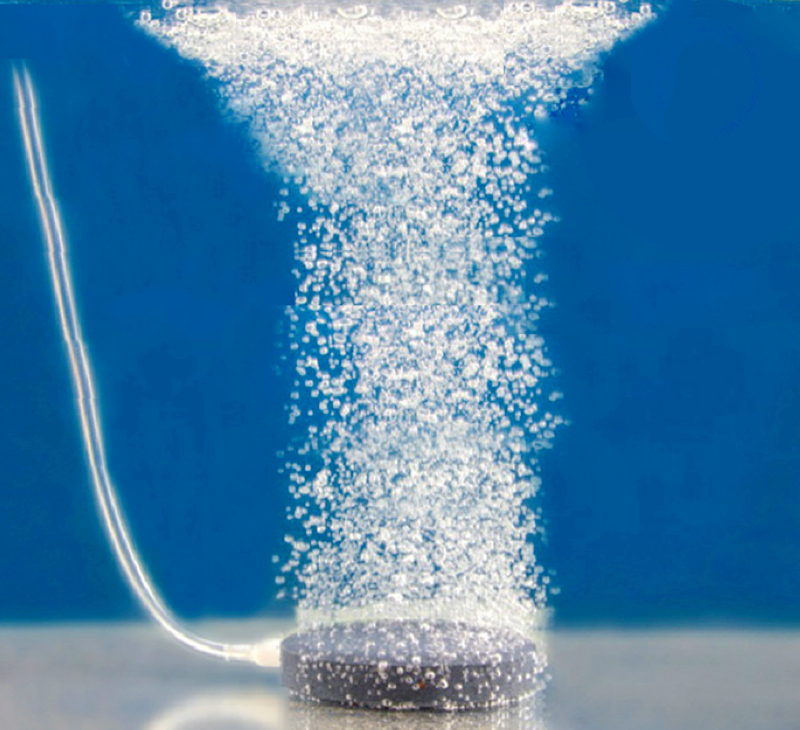 You know that little T-piece outflow attachment with the added air line and valve you found in the box when you purchased your internal sponge filter ? Well this is when it is good time to use it !! Even though they can be a little loud, this little gadget drags the air from outside the aquarium using the force from the pumped water and the result is bubbles. Check if you still have this part in the box – I have added a video at the bottom to explain this further. If your aquarium is low on nitrates and has a clean filter then naturally you are creating conditions that fish will do better in. During a heatwave it is particularly important that the tank can be as clean as possible as to not add any more stress to the fish. Doing a water change earlier in the day may result in cooler tap water of course. All aquarium lights generate a certain amount of heat. In hot weather you should if possible leave the lights completely off as to not add to the already warmer water. If you have a tropical tank and the temperature outside is above 36°C (and its going to be that way for a few days at least) you may want to consider completely turning off your aquarium heater until cooler weather arrives. Although heaters usually have a built in thermostat and turn off when they hit their set temperature, I find that overnight a heater may still turn on and keep the temperature up. Just remember to turn it back on as the cooler change blows through !! Remove glass lids on the aquarium. In hot weather and only if you do not have fish that are notorious jumpers (such as Silver Sharks, Eels, Bloodfin Tetra, or Guppies etc) then you can allow heat to escape the aquarium by removing the glass lids and/or open the hood. By reducing the “oven effect” of trapped heat, this should help to bring the temperature down a degree or two. If you have no air conditioner, then safely place a fan near the aquarium and have it blow air onto the surface of the water. This effectively cools the water in the aquarium, and should even cool the room. Do not put the fan too close to the aquarium where it could be knocked in ! A very expensive but very effective option is purchasing an aquarium chiller (chillers are sold usually between $600 – $1500 !) 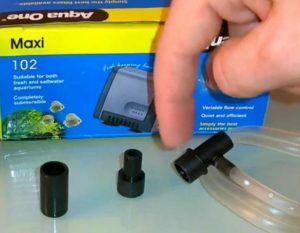 Basically you need an external filter where the outflow hose is directed into a fridge-like unit that cools the water before it is pumped back into the aquarium. Often marine enthusiasts use these so their corals etc don’t die in warmer water. Expensive to buy and expensive to run, but if you are flushed with cash then perhaps a good option for you. A little word of warning – you should not dump a heap of ice in one go – sudden drop in temperature will completely stress the fish, fish prefer consistency. If you do choose this method, you would be best advised to freeze 3-4 containers of sealed water and continually rotate them during the heat of the day. If you do want to add ice directly, ensure it is dechlorinated and only use small amounts. Regularly check that the temperature does not go outside of required perimeters.